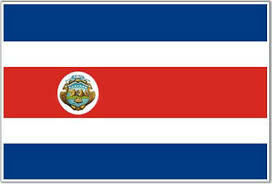 Assembly: Costa Rica has a unicameral Legislative Assembly (Asamblea Legislativa) with 57 seats. In the Legislative Assembly (Asamblea Legislativa) 57 members are elected through a closed-list proportional representation system to serve 4-year terms. The last elections to the Legislative Assembly were held on February 7, 2010, alongside the presidential election. The National Liberation Party won a plurality of seats (24) and formed a government coalition with the Accessibility without Exclusion Party, Costa Rican Renovation Party, and National Restoration Party. The Citizens’ Action Party won the second-most seats (11) and leads the opposition. The parliamentary elections, like the presidential election, will be the first in which Costa Ricans living abroad can vote, increasing the number of registered voters by 10,264. There are seven constituencies corresponding to Costa Rica's provinces, and seats are apportioned to each in proportion to population. Seats are allocated at the constituency level. Once all lists' quotas have been filled, there are additional considerations for sub-quotas of votes (50 percent of a full quota), and then for remainders less than sub-quotas. The PUN did not register for the 2010 elections, but has existed in several incarnations since 1947.